I want to introduce you to my new friend Justin. I have never met him before, but he makes some pretty amazing hazelnut butter similar to Nutella. Nutella is made out of hazelnuts, along with many other ingredients, including sugar- lots and lots of sugar. In fact, the first ingredient (the most prominent by volume) in Nutella is…Can you guess?…SUGAR! So what makes Justin’s Hazelnut Butter so special? When compared to an equal amount of Nutella, it has about twice as much protein and fiber and less than half as much sugar. Not to mention, almost all of the ingredients are organic. Overall it is a much more nutritious option when is comes to sweet, chocolatey snacks. My favorite is to enjoy this one plain, directly out of the 1.15oz squeeze packs. If plain hazelnut spread is not your thing, try it on strawberries, apples, bananas, pretzels, or marshmallows. I like the squeeze packs because they are easy to grab on the go and I don’t have to think about how much I am eating, although it does also come in a 16oz jar. Next time you have an after-dinner craving for something sweet, Justin’s Hazelnut Butter is the way to go. 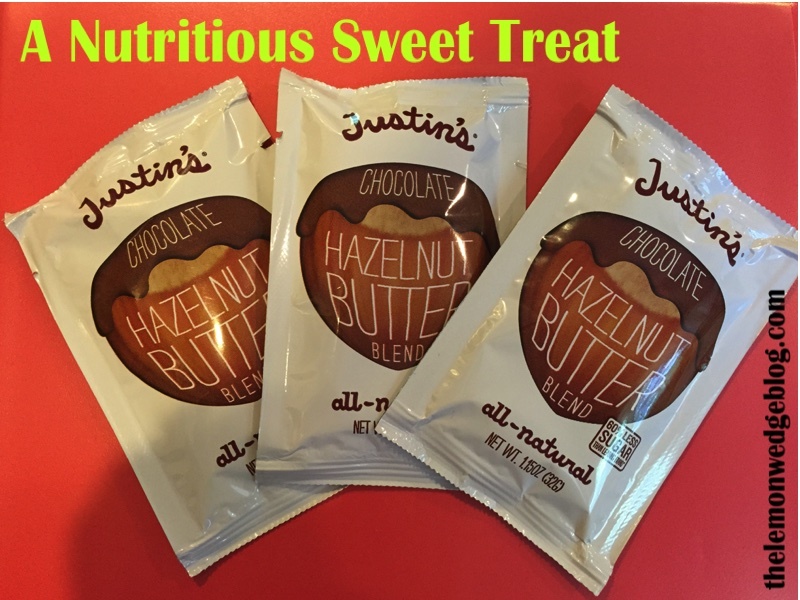 Here is a link to some recipes Justin has come up with using his hazelnut butter. You can also try some of his other products (his almond butter is pretty tasty too! ).